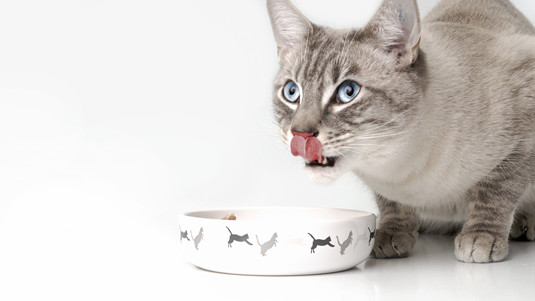 A new study carried out by LMU veterinarians shows that high phosphorus intake, comparable to the average level provided by prepared cat food, can be deleterious to kidney function in healthy cats. An LMU study has found that phosphate concentrations that exceed the daily intake required for health maintenance by more than fivefold can damage kidney function in healthy cats. The investigation was led by Professor Ellen Kienzle and Dr. Britta Dobenecker of the Chair of Animal Nutrition at LMU. “For hitherto unknown reasons, some 35% of older cats suffer from chronic kidney disease,” says Ellen Kienzle. The results of the new study suggest that excess phosphate has a deleterious effect on indicators of kidney function in cats, and could contribute to the high incidence of chronic kidney diseases in elderly cats. The new findings appear in the Journal of Feline Medicine and Surgery.